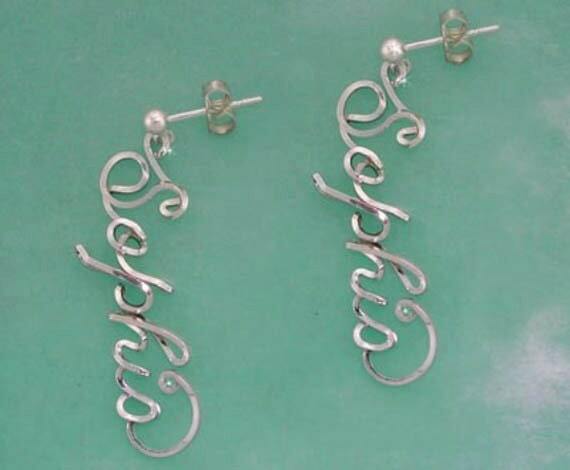 EACH PAIR OF EARRINGS ARE CUSTOM MADE TO ORDER AND PERSONALIZED WITH YOUR NAME! Each item I make is done by hand after you place your order - they are truly made just for you. 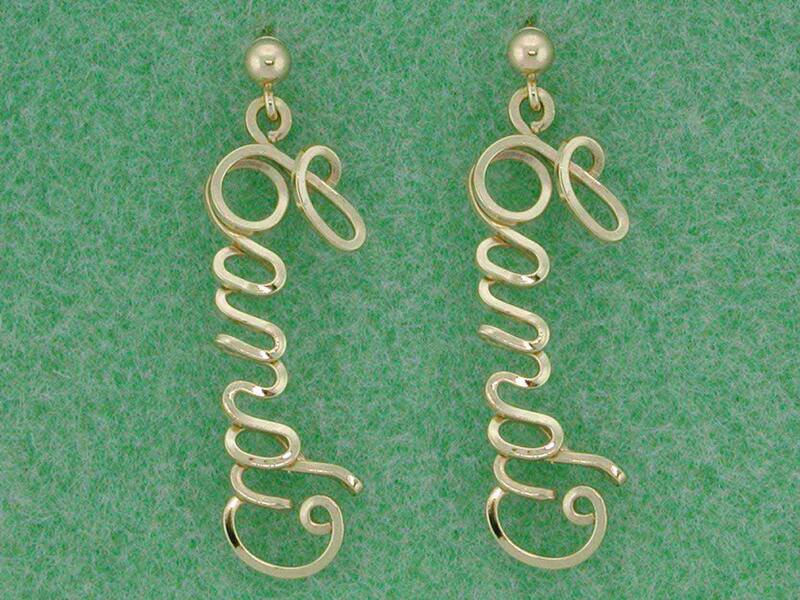 All items are available in gold wire or sterling silver wire, but this listing is for STERLING SILVER. Check my shop for the gold ones. ANY NAME up to 9 letters.